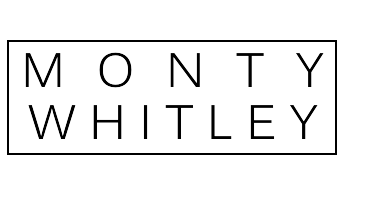 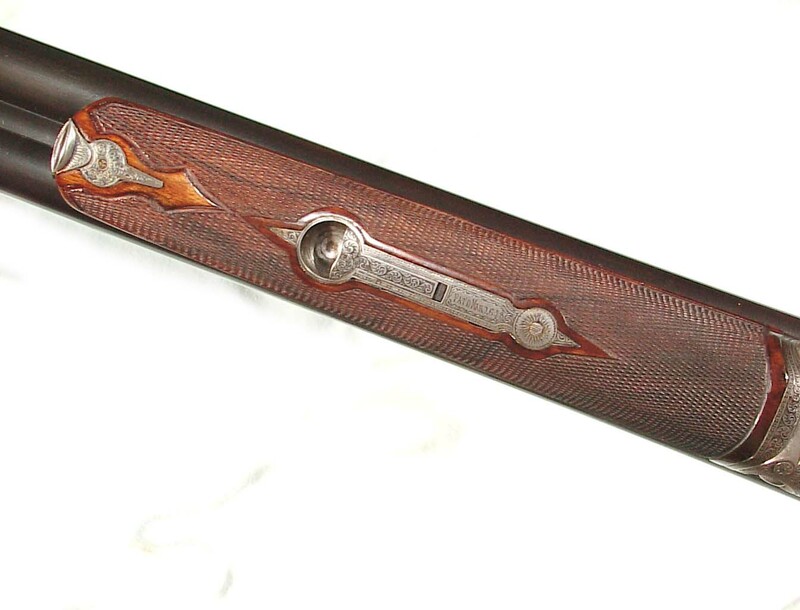 12 gauge, 28″ Titanic steel barrels, No. 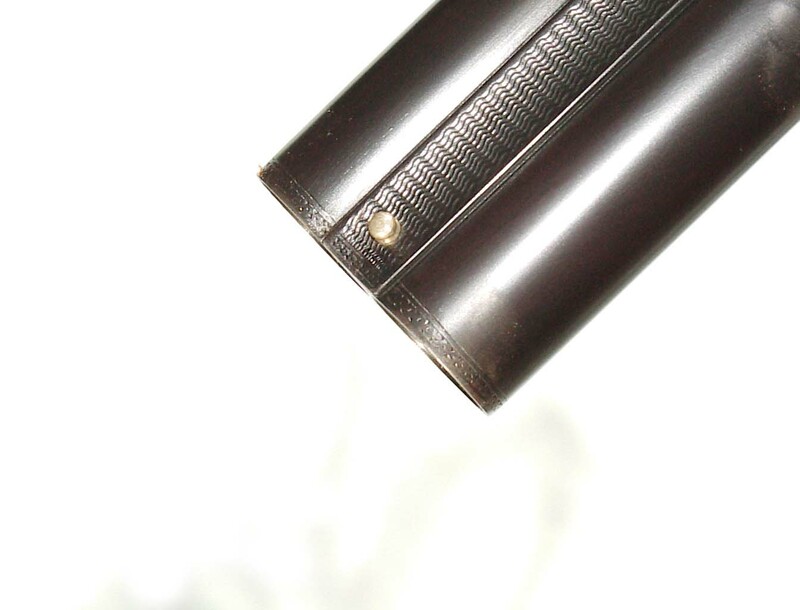 1 frame, auto ejectors and choked IC & I. MOD. 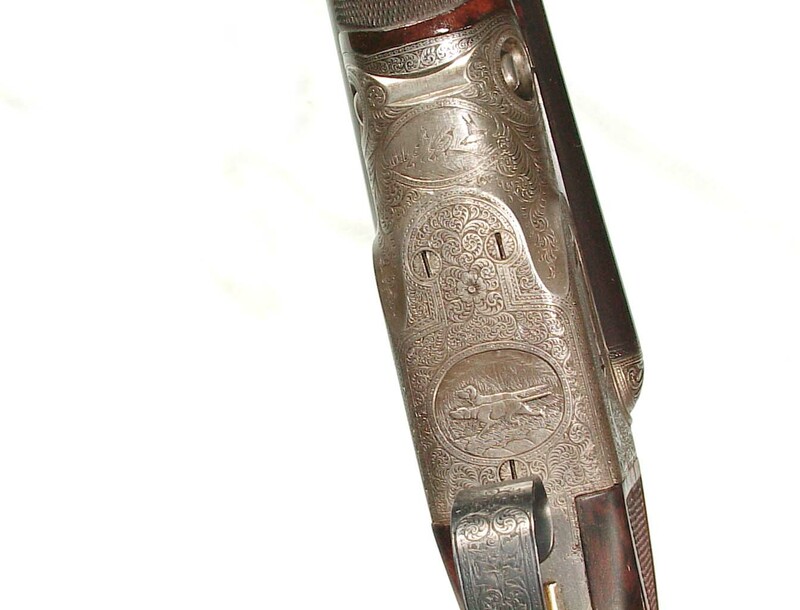 Serial number 122110 and ordered on Sept. 16, 1903 for George S. McAlpin, New York, NY. 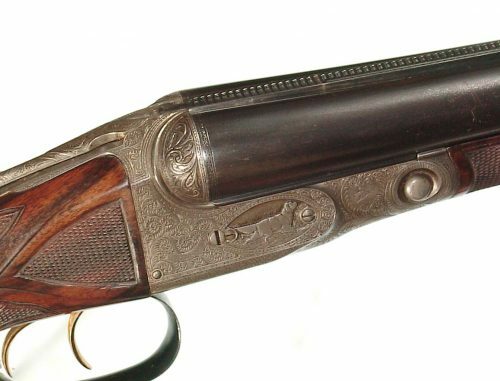 Factory records indicate that it was a capped pistol grip measuring 13 7/8″ to a Silvers pad. 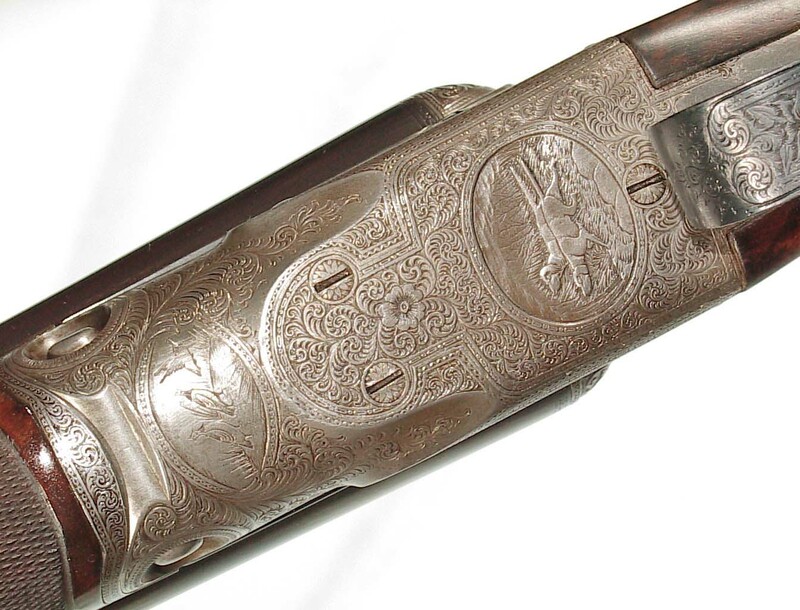 Magnificent relief carved engraved with beautiful pointing dog game scenes. 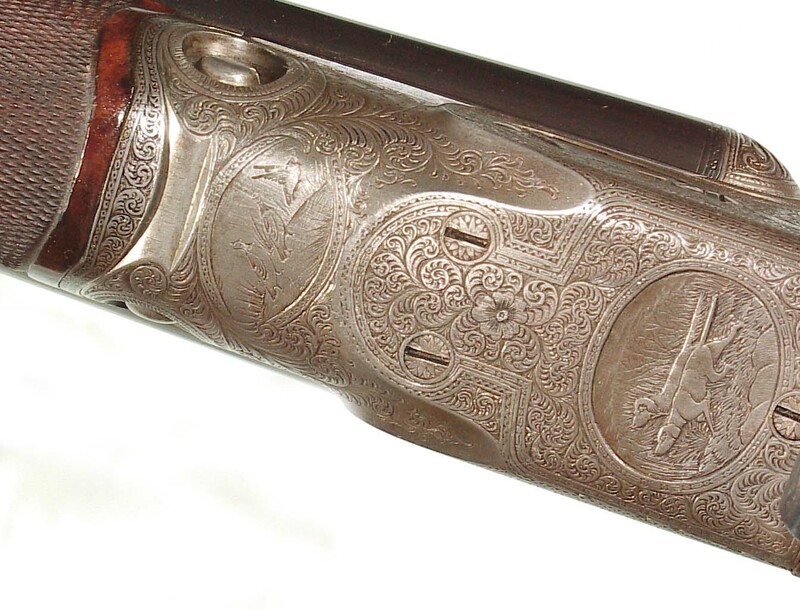 The muzzle is also border engraved. 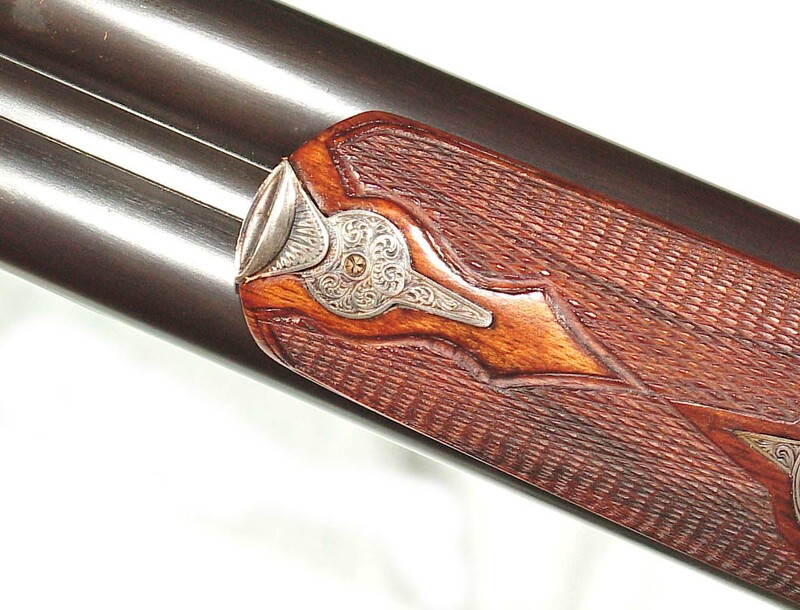 In superb condition with the barrels retaining nearly all of the blue. 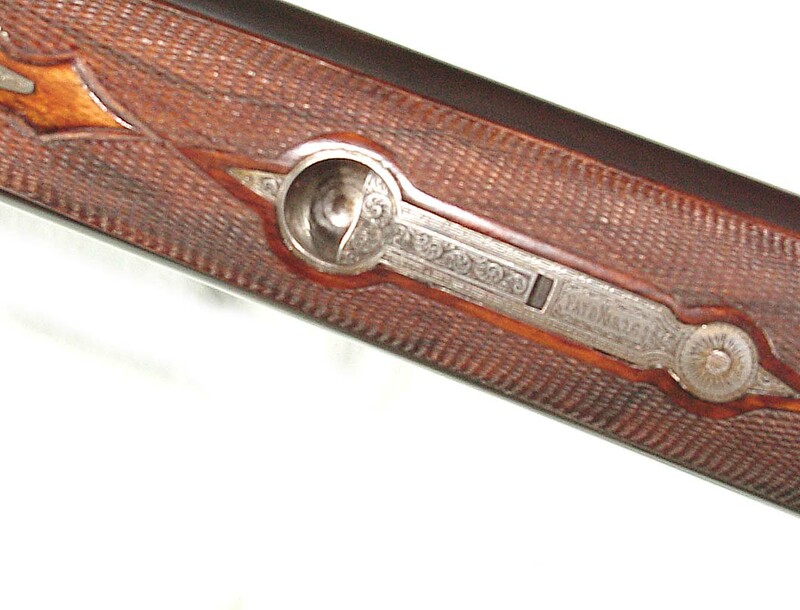 Excellent wood and checkering. 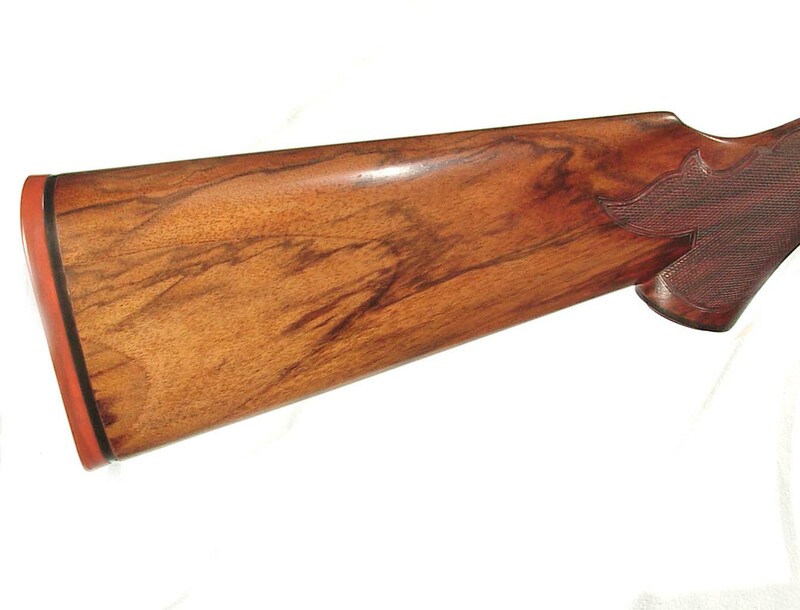 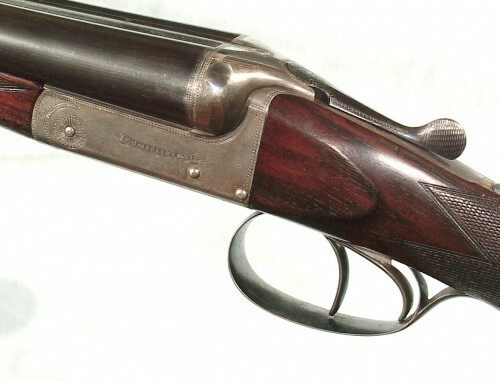 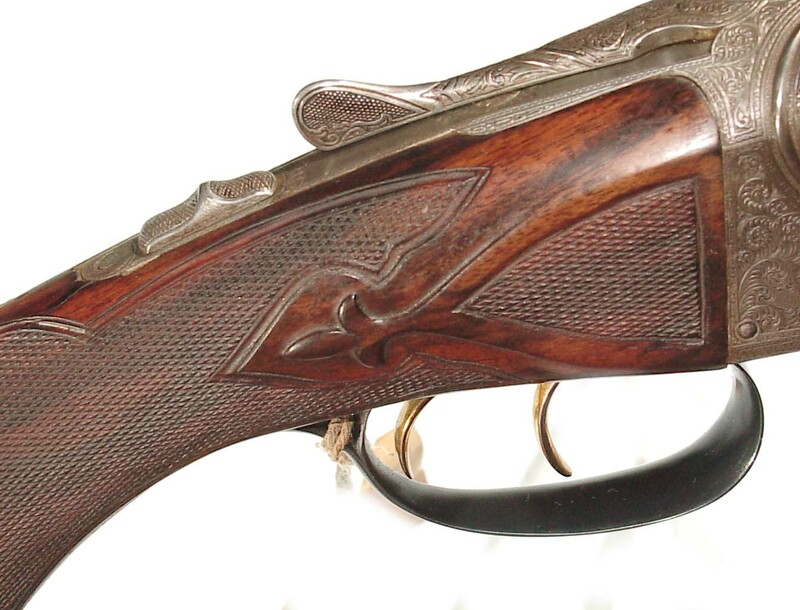 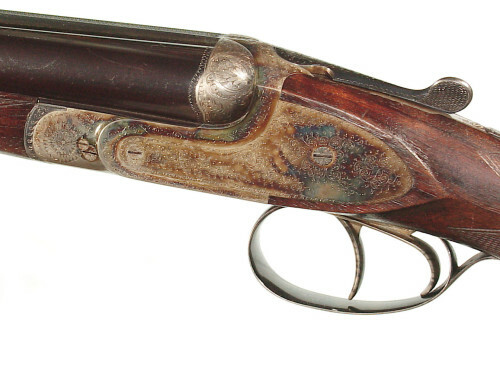 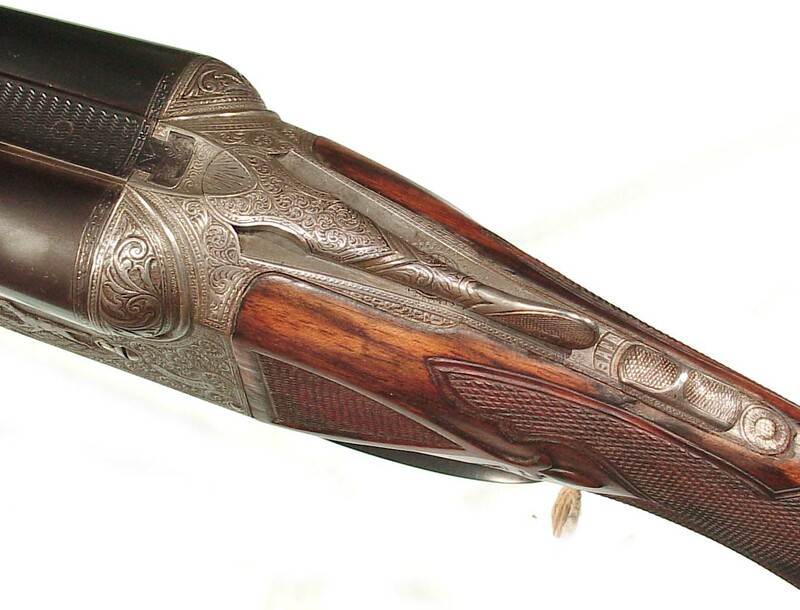 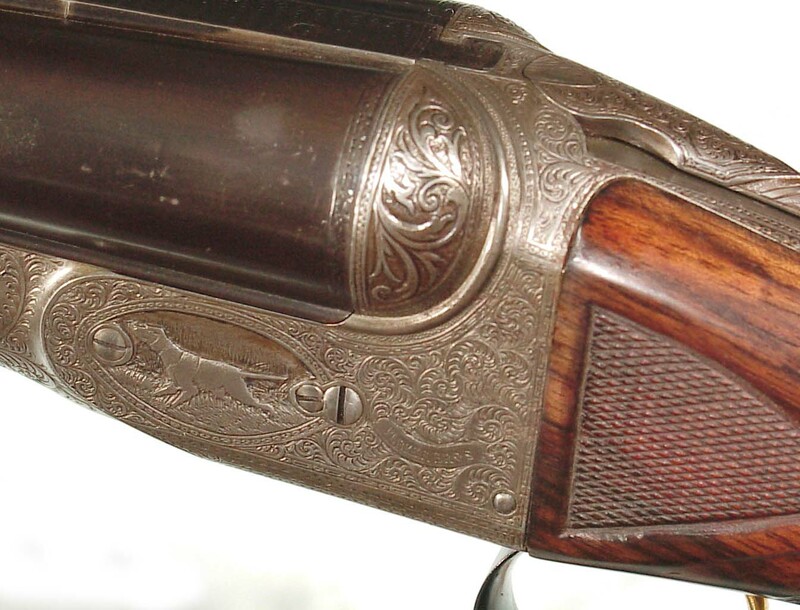 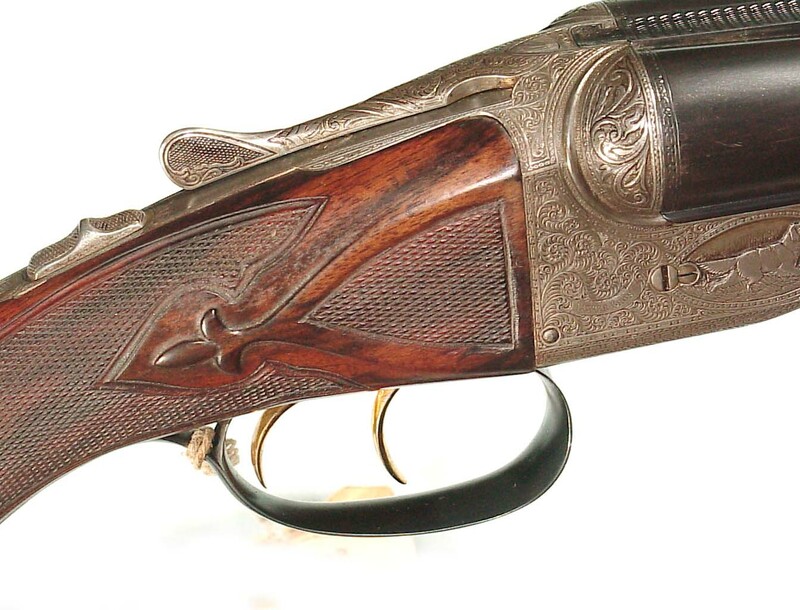 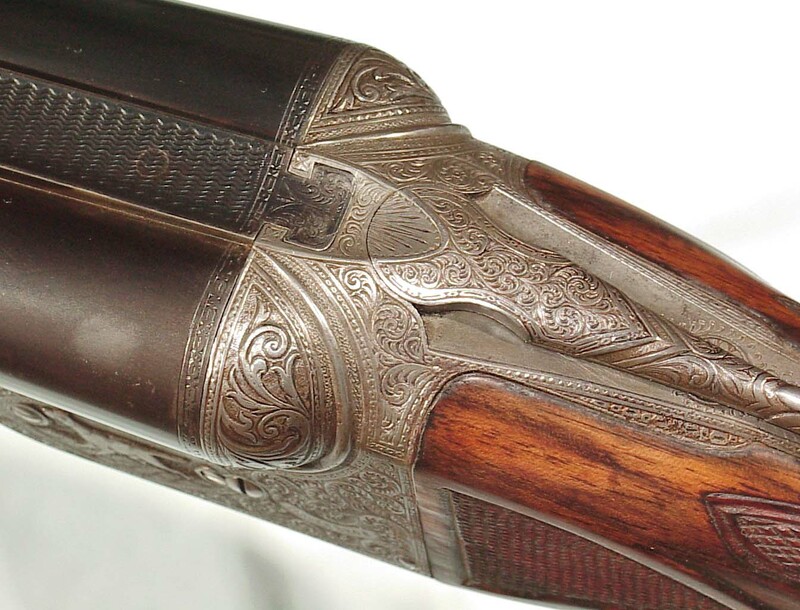 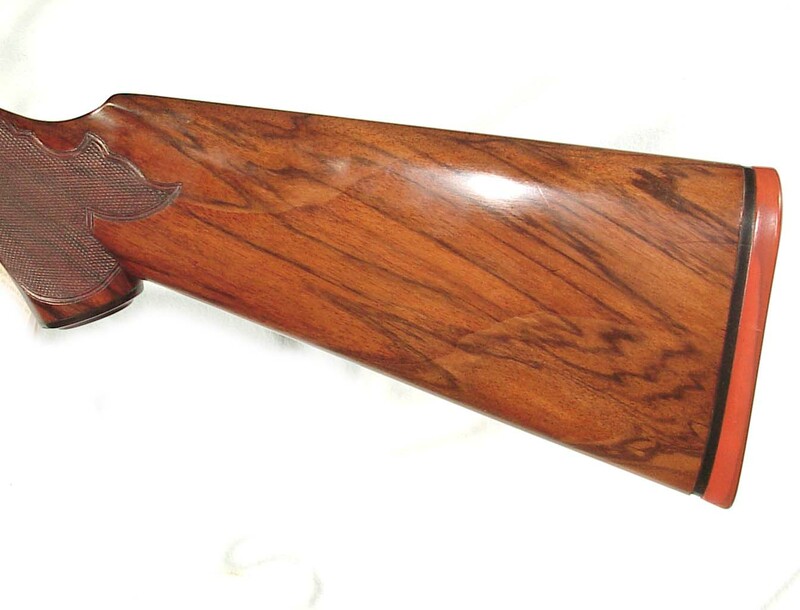 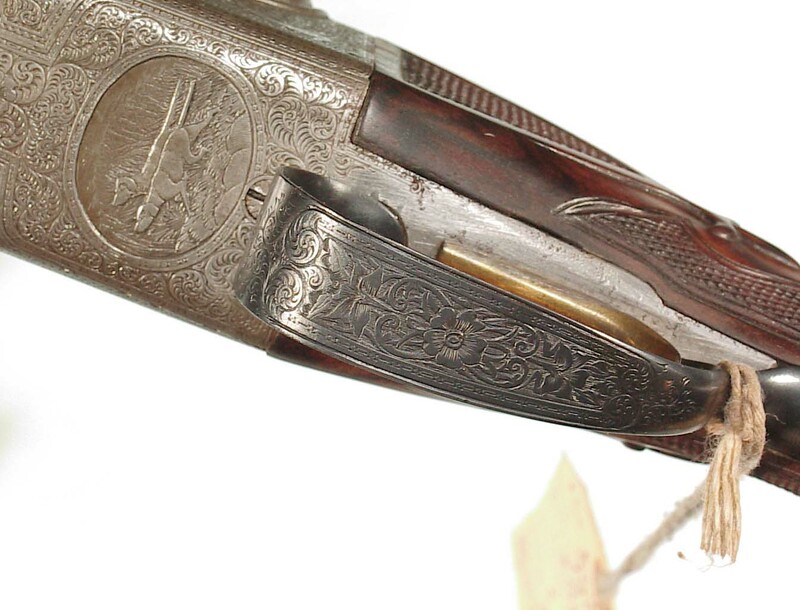 Relief carved Parker shotguns are extremely scarce and this is a superb example.